WASHINGTON, DC — The American Civil Liberties Union and over a dozen LGBT groups sent a letter to President Barack Obama today urging the commutation of Chelsea Manning’s sentence for disclosing classified information to the media to raise public awareness regarding the impact of war on innocent civilians. Manning is in the seventh year of a 35-year sentence. A petition on the White House’s “We the People” platform, asking President Obama to commute Chelsea Manning’s sentence to time served, has garnered over 40,000 signatures. Last week, Amnesty International sent a letter to President Obama also supporting that Chelsea Manning’s sentence be commuted to the time she has already served in prison. 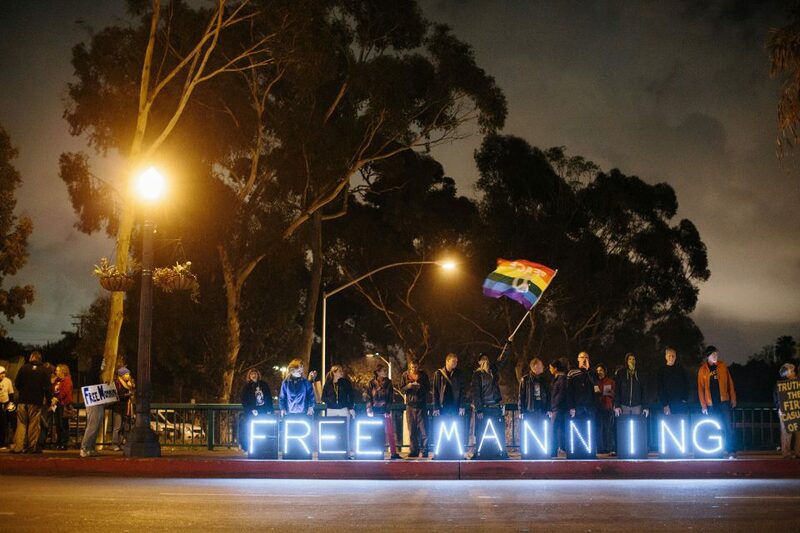 Tagged #freechelsea, #timeserved, aclu, chelsea manning, clemency, LGBT, president obama, queer liberation. Tagged donald trump, islamophobia, Jeff Sessions, Kris Kobach, Laura Ingraham, Michael Flynn, Mike Pompeo, racism, Steve Bannon, xenophobia. Washington, DC — Today, Chelsea Manning’s legal defense team released a letter sent to the U.S. Army and the Office of the Pardon Attorney, requesting the commutation of Ms. Manning’s 35 year court-martial sentence to time served and “a first chance to live a real, meaningful life.” The letter discusses the harsh and inhumane conditions Ms. Manning was subjected to in unlawful pretrial solitary confinement for nearly a year. Specifically, the application highlights the 11 months that Ms. Manning spent in solitary confinement before her trial. The first two months of that confinement was spent in the dark, in a cage inside of a tent, in 105 degree temperatures, in Kuwait. Following her confinement in Kuwait, Ms. Manning spent the next nine months of solitary confinement forced to sit upright, staring straight ahead at the wall, all day, every day. In their amicus brief, the Open Society Justice Initiative argues that the 35-year sentence imposed on Ms. Manning far exceeds international legal norms and should be reduced. Drawing on a survey of law and practice in 30 countries, it notes that Ms. Manning’s sentence is “far higher than the penalties that our closest allies would consider proportionate.” In the U.K, for example, the crimes of which Ms. Manning was found guilty carry a maximum penalty of 2 years in jail. Chelsea wrote about her time in solitary confinement for The Guardian, in May 2016.